The road to success hasn’t been easy, but after 20 or more years in the music industry, Angel Sessions has proven she is in it to stay. Angel started out early on as an R&B recording artist. Before her first deal with Pittmoble/Ichiban records and Volt Records, Angel was traveling to Guam, performing at the Grammy’s pre-party’s in Los Angeles, and performing at the same venue with acts such as The Whispers, H-Town, Teena Marie, James Brown, Eric Benet and many more. She performed also on many local Television stations in the Bay Area and was interviewed on local radio programs shows. Angel Sessions writes all of her own lyrics. “Ever since I can remember, I’ve always wrote songs of love to my heavenly Father. It was a gift God has given me along with the ability to sing.” Angel began singing in church. She was one of the lead singers that would perform a special song when called on. After years of local performances in the Bay area and the Los Angeles area, Angel was introduced to a producer/songwriter Fred Pittman that would take her career to the next level. In 1998, she signed a deal with Pittmoble Records distributed by Ichiban Records. She released her first album entitled “Introducing Angel”. Her first single release, “She was never her” got radio airplay on over 80 BDS stations and was received well. The buzz about Angel was beginning to spread and many people in the music industry was hearing the name, Angel Sessions. Ichiban sold the company in 1999. Angel was introduced to the Vice President of Fantasy Records, Phil Jones. She had already recorded her second album “Love Ride” in Atlantic Georgia and at the time was shopping for another deal for her new project. Phil Jones loved the album and it was soon released on December 1999 on Volt Records. The single “Get It Right” from the album was also released to all of the radio stations around the country. A video was also shot for the song. Actor/Director Fred Williamson played Angels’ father in the video. The album was also received well and had a small write up review in the Rolling Stones magazine, and mentioned in the Billboard magazine. Angel Sessions also had the opportunity to tour with S.E.A.P. (School Entertainment Activity Program) in Los Angeles California. This was a great way of getting the artist music heard and brought on demand by all of the middle school and high school kids in Los Angles. Lot of major recording artist was a part of this event such as Usher, Brandy, Destiny’s Child, Spice Girls, Britney Spears, Rome, Tyrese Gibson, and more. The Love Ride album was taking off at a good start for Angel. Volt Records also signed Lenny Williams, Brenda Holiday, Freda Payne, The Delfonics, and The Dramatics. Each of them did a one album deal, and Angel had the opportunity to record backup vocals on their album, and also duets. She was also introduced to Maurice White, lead singer of Earth Wind and Firer. Angel sing on two on Maurice’s songs that would later would be placed on the Stylistics album in 2010 entitled “Painted in the Sky”. Many great producers contribute to the album “Love Ride” such as Claytoven Richardson, Preston Glass, Andre Rivers, Larry Batiste, F.L. Pittman, Andre Cymone, and Tony Camillo. Tony Camillo wrote the song “Inconvenience” on Angel’s album “Love Ride.” It was written for the movie “Held Up” starring Jamie Fox and Nia Long. The original title of the film was titled “Inconvenience” but was soon changed to the titled “Held Up”. However, Angel was invited to the movie premiere to meet Jamie Fox and the cast, and to see the film. In 1999, Angel was introduced to Mary Wilson, formally from the talented and famous girl group, The Supremes. In 2004, Angel traveled around the country singing backup for Mary Wilson. In 2005 Angel released her first gospel recording album on CD Baby. The album entitled “He Loves You” began the new journey in the gospel world of music for Angel Sessions. She audition to open up for Fred Hammond at the San Diego State Fair in 2007 and was later ask to do two shows, performing on two different stages, on that same day of the event. Also in 2007 and 2008, Angel Sessions performed at the Warriors games singing the National Anthem. In 2012 Angel release other gospel material. She shot her first two gospel video, “Chasten” and “You Got Him, You Don’t”. Both videos where received well by her fans. Angel released her next video in 2013 entitled “You Can”. In one hour after the release, in went viral to over 9,000 views. Angel released her 7th album “You Send Me Higher’ and EP “If You Love Me” that same year. In 2014 her latest album “Hearts of Broken Love” gain exposure from the fans around the world after the release her single “Get Up” from the album. It was released to radio stations and charted at number 1 for 11 weeks on the National US Charts. “Hearts of Broken Love” also charted on Amazon at number 14 for best Gospel music download. Angel was also nominated for best Female artist in the Underground Music Awards 2014, in which Nicki Manij who won in 2008 and J Cole who won in 2010. Angel released her 9th studio album entitled “Songs of Comfort” on April 28th 2015. The album was bestselling in Soul, Praise and Worship, and Contemporary Christian top 100 for 14 weeks on Amazon. She released her new single “Jesus is Coming Soon” in February 2015 and “Don’t Let Go” her second single on March 24th 2015 which also topped the Contemporary R&B charts crossing over from the gospel area at number 8 bestselling gospel music on Amazon. Angel received 8 nomination for the song “Don’t Let Go” in 2015 and 2016. Angel also released her third single from her album entitled “He’s the same” that went to #1 on praise and worship on Amazon bestselling. It was released on June 30th 2015. Angel is a voting member of the National Academy of Recording Arts and Sciences (Grammy). 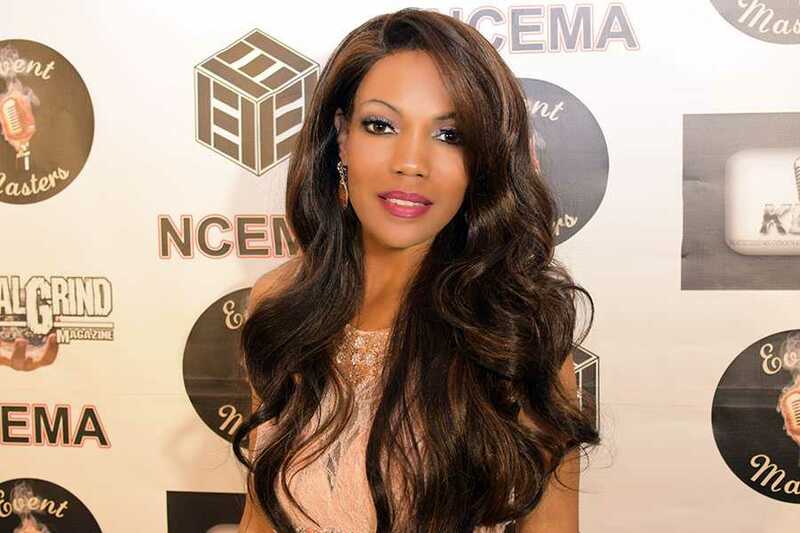 She has been featured in VHM Magazine 2016, Encore HD Hair Magazine, Popular Magazine, Billboard Magazine, Hype Magazine, Say What News online magazine, Sun Reporter Magazine and Magic Music Magazine. Angel has also had her songs featured on the Coast 2 Coast mixtape 4xs, and was nominated for the Underground Music Awards for most promising female artists and nominated for the ALT Music Entertainment Awards for the best female artist in 2015 and 2016, The Hollywood Music In Media Awards for best song “Don’t Let Go”, and “The Great I Am DiscaL Remix” Universal Achievement Awards for Best Gospel Artist, Gospel CD Review Nominee, Northern California Music Awards for Best Gospel Artist, The Akademia Music Awards for song “Don’t Let Go. Angel continues her success on her new label Atlas Elite Entertainment. She loves sharing her talent to all of her fans and she is so grateful for the support many of her fans has shown her. Angel released her new album “Know Them by Their Fruits” on November 24th 2015. It charted at #7 for Best Urban Gospel Artist. Her current single “No Fear” released on December 1st 2016 debut at #1 movers and shakers top 100 on Amazon and 6 weeks since the day of pre-order and release from Amazon at #2 Praise and Worship. Angel has been nominated for a total of 10 music awards and she has won for Best Female Artist of the year at the Northern California Entertainers Awards 2016 and is currently nominated Northern California Entertainers awards 2017 for Best Female Gospel artist. Angel is Featured in the Popular Magazine and Flex Magazine. Her latest EP on Atlas Elite Entertainment entitled “I’m In Awe of You” top the 100 Amazon Charts for 6 weeks starting at #3 Bestselling album. Her new album I’m Who I Am” was release on May 12th 2017 and top the National charts at #4 while it was on pre-order and has stayed on the charts since its release. Angel Sessions is a Brand Ambassador of the product, Destiny’s Pride and Angel Face by Dr. Margaret J Sargent. Her team of Atlas Elite Entertainment, founders, Rodney Crews, Demetrius Guidry and Angel herself, are super excited for all Angel has accomplish and many more things to come.